When you’ve played all the modern horror games you can find, it’s time to turn to the scariest titles of yesteryear. From algebra solvers that show their work to notepad-like tools that also crunch numbers, we’ve got all sorts of ways for you to do what computers do best: calculate. How do you use a computer when you’re unable to use a standard mouse or keyboard? Using specially-adapted software, of course! Here’s how to get any word count in a matter of seconds if you’re on a Mac. Losing your bookmarks and passwords on Safari is a grave inconvenience. Here’s one simple trick to keeping them safe. Woz, as he is popularly known, is a geek’s geek. He started off as a white hat hacker, tinkered around with electronics all his life, and has never lost the joy of technology. Hiding the dock and menu bar in OS X is easier than you think. Here’s how to do it. 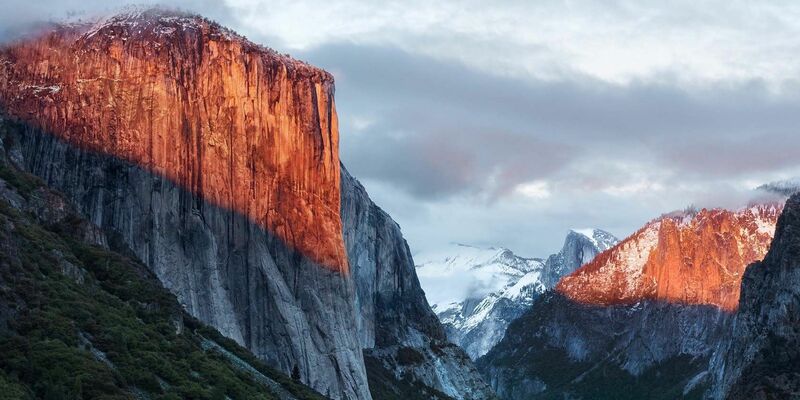 Mac OS X El Capitan is a subtle release: its biggest changes aren’t visible — but you’ll probably notice them anyway. Remember Quicksilver, The Free Open Source Mac Launcher? You’ve probably forgotten entirely about Quicksilver, and that’s too bad. It’s awesome. Macs are generally secure, but Java has been causing security problems for years. It’s finally time to get rid of Java on your Mac; here’s how. Even without the hype, some of the new Apple products might just be worth getting excited about. And we want to know which one has your pulse racing. When most people think open source, they think Linux. But Mac OS X has its share of quality open source programs as well — and a bunch of them aren’t available for Linux or Windows. Navigating files and folders using the native Mac file browser Finder is easy enough, but there are many more features hidden behind menus and keyboard shortcuts. Playlists make it easier to discover, share and create your own personal collections from Apple’s massive library of streaming music. Here’s how. Apple’s natural stranglehold on the Mac market means discounts on their hardware aren’t frequent. That said, you can get a Mac for less — you just need to know where to look. Evernote is a fantastic app, but there’s no official client for Linux. Don’t worry — you can use one of these third party alternatives instead. Maybe you plug your keyboard in and nothing happens. Maybe your computer isn’t picking up the Bluetooth signal. Maybe your keys aren’t responding to input. Here’s how to fix it. A sarcastic robot, with little regard for humanity, working as your personal weather forecaster? That’s interesting. If you like customizing your Mac, Yosemite might be the last version of OS X that works for you. And that’s too bad. Learn keyboard shortcuts. It sounds like a pain, but seriously, every new shortcut you learn will quickly become something you can’t live without. Gmail offers native apps on Android and iOS, both of which blend with their operating systems. Why shouldn’t the far more powerful desktop operating systems get the same treatment? No sound? Glitches and noise? Audio coming out of the wrong speakers? Resolving your OS X audio problems can be a time consuming process.